BioCircuits were created nearly a century ago by Leon Eeman, a pilot for the British Royal Air Force who was seriously injured when his plane malfunctioned on take-off. 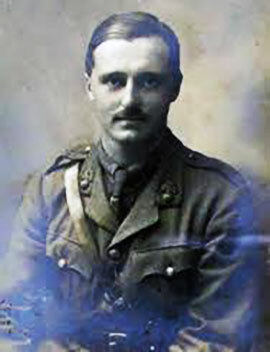 He recovered sufficiently to resume flying for another three years, but in 1918 he was forced back into the hospital with an array of symptoms stemming from the original injury. Over the next year, he spent time in 5 different hospitals but found no effective therapies to relieve the severe head and spinal pain, unrelenting insomnia, and exhaustion that he was experiencing. Eeman came to the realization that if he were to recover it would have to be by his own efforts and it was to this goal that he devoted himself. Taking inspiration from the Biblical injunction to “heal the sick by laying on of hands”, Eeman began to explore the nature of the energy that could be transmitted from one person’s hands to the body of another. Instead of traditional medical treatment, he invented a simple device by which any person could transmit energy to his own body by merely lying down on copper plates or copper screens. In essence, the device connects various points of one’s own body to facilitate the circulation of one’s own energy. Eeman originally called it a ‘relaxation circuit’. Known today by various names such as ‘BioCircuits’, ‘Eeman Circuits’, or ‘Eeman screens’, the basic circuit consists of 2 Copper Wires (insulated), 2 Copper Plates, 1 Copper Rod, and 1 Zinc Rod. On one end of the Copper Wire, a Copper Plate is attached, and on the other end of the wire a Copper Rod is attached. On one end of the OTHER Copper Wire, a Copper Plate is attached, and on the other end of the wire a Zinc Rod is attached. Our Quantum BioCircuits are an improved and enhanced version of Eeman’s original design. Our Quantum BioCircuit rods consist of one Copper Rod and one Zinc Rod (which according to ancient Egyptian texts, the use of dis-similar metals creates a approximate one-volt energy differential in the body which greatly accelerates energy flow). Our insulated Copper Wires are 50 inches in length (which is twice the length of one Egyptian Sacred Cubit (25” in length per Slim Spurling) which adds a unique and powerful wave form to the circuit. 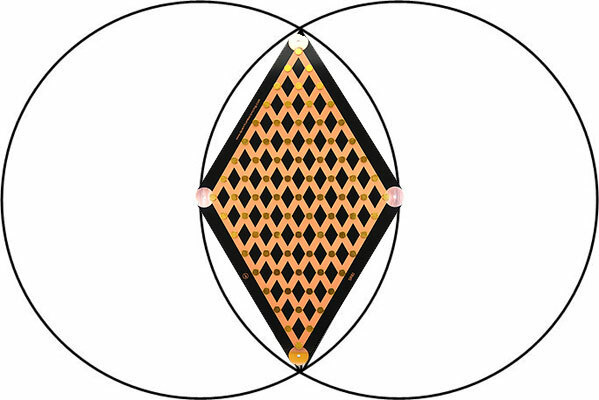 Our Quantum BioCircuit Copper Plates are designed in an exact Vesica Piscis shape (from doubled equilateral triangles, which according to ancient geometrical constructs, is the perfect shape for harmonious energy movement). The Quantum BioCircuits work by connecting positive and negative parts of the body to create a flow of bioenergy within one’s own body. Users have reported success in preventing stressors, reducing pain, and speeding recovery from stress, fatigue, allergies, and pain recovery due to previous or current injuries. There is no scientific basis for making any medical claims for these devices. However, these experiences lead us to believe that Quantum BioCircuits are profoundly effective in energy balancing, healing, promoting a deep state of relaxation, and heightened states of awareness. 2) Connect the COPPER Rod to one end of a Copper Wire; plug the other end of that Copper Wire into the Quantum BioCircuit Copper Plate that has the RED Banana Jack. 3) Connect the ZINC Rod to the end of the other Copper Wire; plug the other end of that Copper Wire into the Quantum BioCircuit Copper Plate that has the BLACK Banana Jack. 4) Place the Copper Plate with the Copper Rod under the base of the spine and hold the Copper Rod in the Right Hand. 5) Place the Copper Plate with the Zinc Rod under the head near the atlas and hold the Zinc Rod in the Left Hand. 6) Lie on the back; straighten and stretch the legs, then cross the left ankle over the right ankle. 7) Relax, breathe comfortably, think happy thoughts, and feel your energy elevate for 15 to 20 minutes. Note: The above 7 items are suggestions based on historical and known factors. Feel free to experiment! The position of the body, plates, time and other factors may be varied based on each individuals preferences, polarity, energy flow and other factors. The Quantum BioCircuit plates measure 16.75 inches (425 mm) on the long side by 10.5 inches (267 mm) on the short side. Although no medical claims are made or implied, many benefits have been reported by BioCircuit users. Quantum BioCircuits are passive devices which are reported to cause relaxation in users, supposedly by facilitation of bodily subtle energy flow. 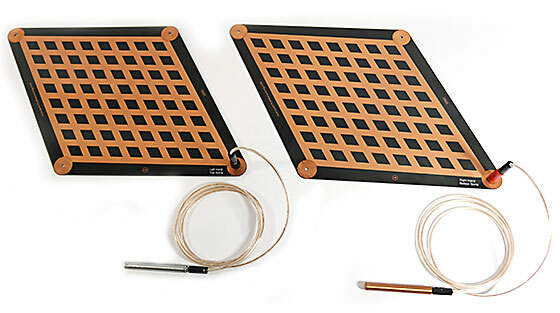 Our Quantum BioCircuits Package includes 2 Sacred Geometry Vesica BioCircuit Plates, 2 Copper Wires cut to the exact length of the Sacred Cubit), 2 Rods (1 Copper and 1 Zinc which are the same materials used by the early Egyptians in their Rods of RA or Rods of Pharaoh), and 1 sheet of Use Suggestions. Copyright © 1996-2019 EMR Labs, LLC. All rights reserved.